Mariacki Church (St. Mary’s Church). 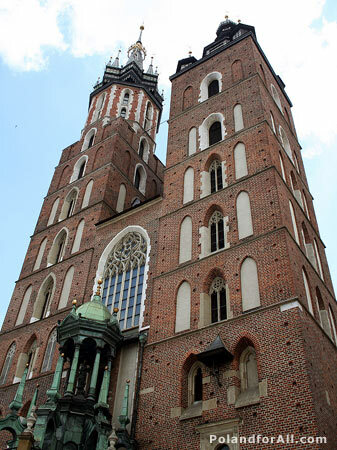 The Gothic St Mary’s Church, towering over the Market Square of Cracow, houses Wit Stwosz masterpiece: Europe’s largest Gothic altar. From the taller tower of basilica, the bugle call is sounded every hour.